Ambient Vision by Yuan-Yi Fan. Ambient Vision is an interactive audiovisual installation that addresses rippled mental images as the product of perceived external stimulus and internal bodily responses. The audiovisual representation that audience experience in Ambient Vision is reconstructed and synthesized in real time based on 3D information from Kinect sensor and modulated by heart rate data from custom biometric iphone app. Ambient Vision explores artistic and aural representation of the rippled mental images. 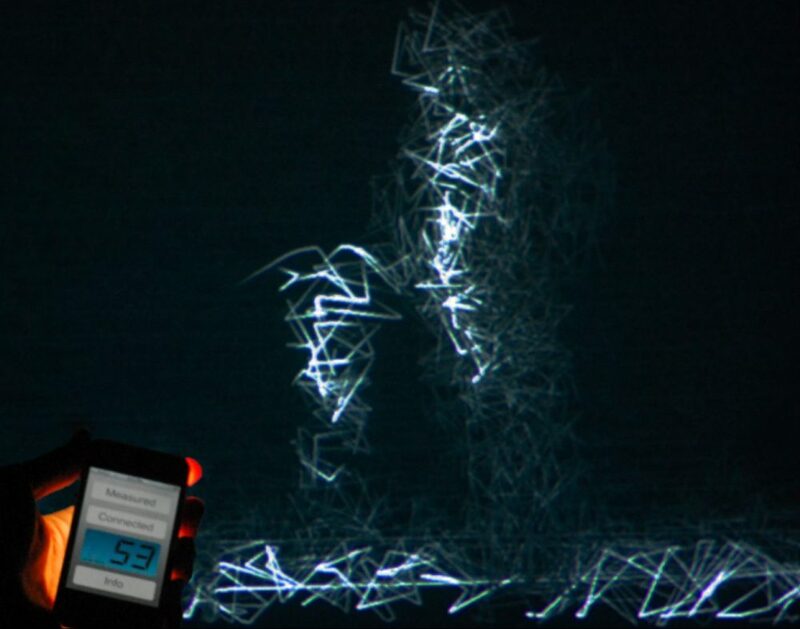 Audience experience Ambient Vision by situating themselves within the sensing range of Kinect sensor and transmitting their heart rate data using iPhone app to the server via WiFi.